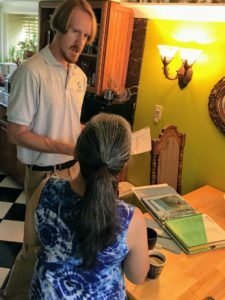 Groundwork Denver’s social enterprise, Groundwork Energy Solutions, can help you determine the energy efficiency of your home by assessing your home’s energy performance and identify ways to save you money, improve your comfort, and protect the environment all at the same time. For more information, and to schedule your assessment, click here. We have deep connections in many Denver and Commerce City communities and can ramp up quickly elsewhere. We can be an important part of your team for health impact assessments, urban planning, or redevelopment projects. We are also skilled in data collection on issues such as walkability, pedestrian safety, housing condition, or other physical inventories. Groundwork Denver has the workforce resources needed to accomplish large-scale assessments. To be negotiated based on the task. If you would like to partner with Groundwork Denver for a community planning effort in your neighborhood please contact our Executive Director, Cindy Chang.